DODOcase, one of our favorite accessory makers, has launched its biggest sale of the year. Starting today through Tuesday, April 4th, you’ll be able to save 40% off sitewide with code 40off. Next week will also bring additional tiered discounts through April 9th. 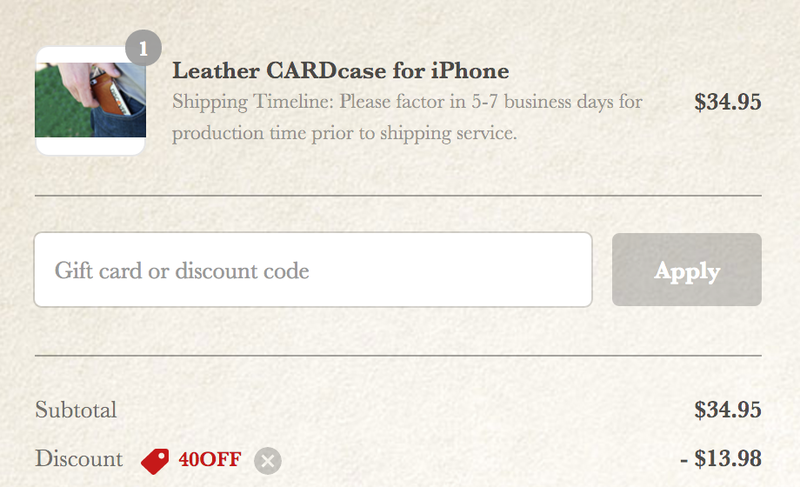 This is DODOcase’s strongest sale of the year, so cash in now on the savings if you’re interested. Shipping varies by item, with fees starting around $5. Shop the entire sale for more! DODOcase launched alongside the Apple iPad in April 2010 as the original bookbound iPad case, and quickly became a favorite among the tech-savvy, design-sophisticated set worldwide. We create stylish cases and sleeves designed to disguise your portable technology with classic elegance and functionality. The DODOcase philosophy is simple: make things locally and help keep the art of bookbinding alive and well by adapting it to a world of digital devices. Our skilled craftsmen make beautiful products to meet today’s modern needs using age-old techniques that need preserving. It’s a happy marriage of tradition and technology.